ABSTRACT The digital humanities present new possibilities for applying computational technology to humanistic inquiry, for better understanding the role of that technology in our world, and even for rethinking the nature of the humanities and what it means to be human. Many authors (Hockey 2004; Svensson, 2009, 2010, 2012; Kirschenbaum, 2010; Dalbello, 2011) date the emergence of this field to 1946 and Roberto Busa’s Index Thomisticus, an IBM-sponsored project encoding the works of Thomas Aquinas on punch cards for search, retrieval, and analysis. From there, the history is told in terms of text and linguistics, with the plot revolving around corpora of increasing size and susceptibility to machine analysis—until quite recently, when digital humanities is suddenly said to be a “big tent” (Pannapacker 2011a, b), encompassing everything from digital archives and databases to GIS, network analysis, new publishing formats, digital pedagogy, game design, and so on. How did this narrative come to be, and what counternarratives does it exclude or constrain? This paper presents an empirical perspective on the early history of digital humanities by tracing publications in two foundational journals in the field (Computers and the Humanities, established in 1966, and Literary and Linguistic Computing, established in 1986), focusing on the disciplines of their authors and of the works those authors cite. Analysis of this corpus—and its evolution—reveals points of similarity and convergence across the humanities and, tangentially, the social and applied sciences, painting a broader and more inclusive picture of the digital humanities than has been presented to date. 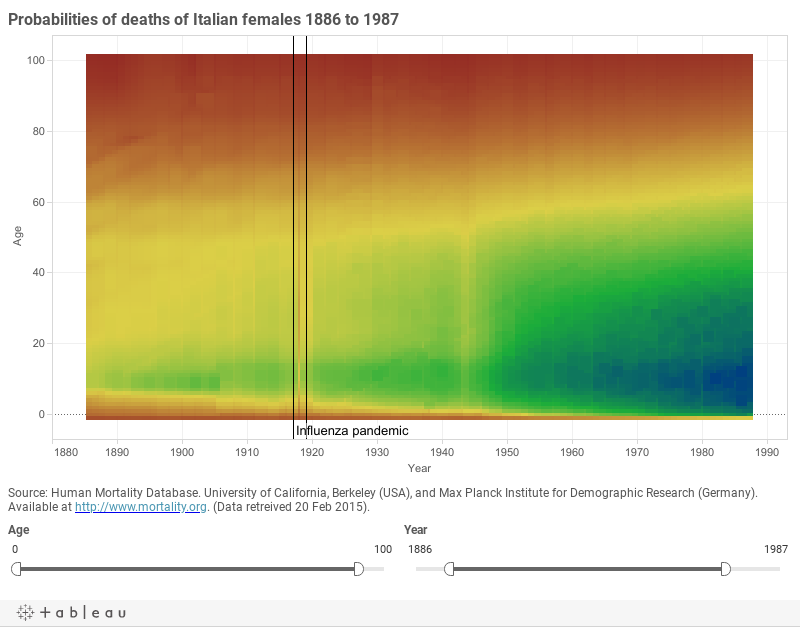 Lexis maps (also “Lexis diagrams”) are used mainly by demographers to show population trends over time. (I’ll explain below how to adapt them for other kinds of data.) They combine elements of scatterplots (quantitative values and individual data points) with the benefits of a heatmap (intensity coloring of some trend). Demographers like them because they drill down on aggregate population trends (e.g. 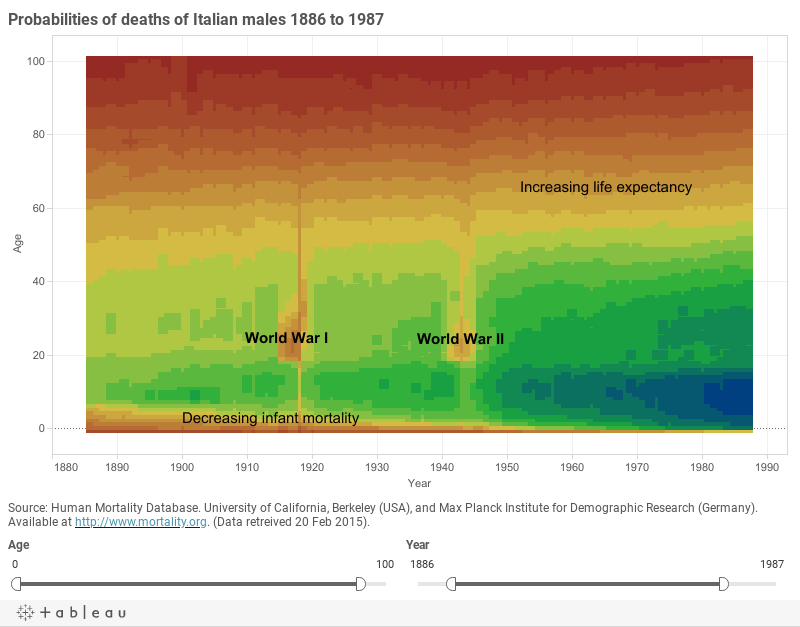 birth rate, death rate, morbidity rates) to show how events affect different segments of the population at different ages. This one shows the baby boom of the 1950s and 60s through female birth rates from ages 14–49. Lexis maps might be compared to a lavish Chinese banquet, whereas the graphs over age and time are more like a delicate Japanese dinner (Vaupel, et al 1998). Given all this, Lexis maps have great potential, and I’m hopeful we’ll see them used in interesting ways beyond demography (I’m still a big fan of demography). To help that along, I put together this workflow for creating Lexis maps in Tableau Public, a free version of the software used by places like the New York Times and Gallup. Tableau Public publishes web-based interactive displays that are sharable and embeddable in HTML—and it has a great video tutorials. If you want to skip straight to the Tableau instructions, click here. Lexis maps are often attributed to Wilhelm Lexis’s 1875 proposal for diagramming population trends by birth cohort (though apparently they were proposed earlier). The basic idea is to model each person as a line beginning with their birth and ending at the age of their death. Putting all of these together at yearly intervals, you get birth cohorts for the population, which move together through time and are affected similarly as they move through time—more similarly even than other people who live through the same event, but experience it at different ages. Even a massive historical event such as World War II affects people differently; some are drafted, but others are too old or too young, and the event affects them in other ways. The same might be true of pregnancy or some disease. Model all of this on two axes (time x age) and you have a Lexis diagram. 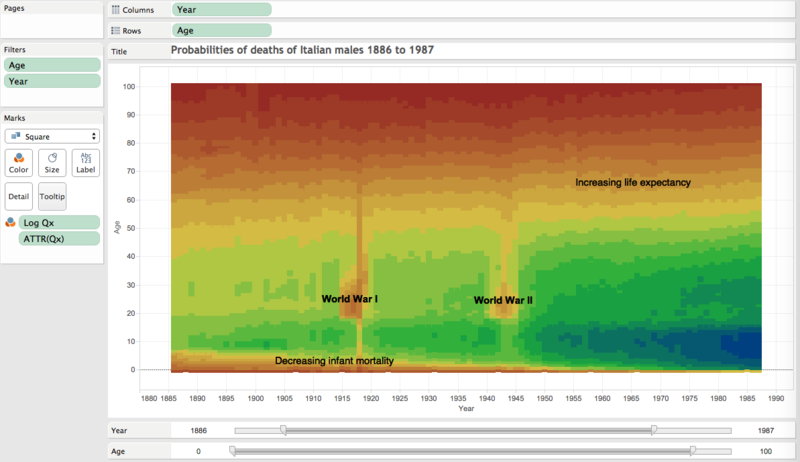 This Lexis map shows the probabilities of death for Italian males, with historical events (e.g., WWI, WWII) clearly reflected in the population patterns. Lexis maps can also be adapted to a variety of domains beyond demography. 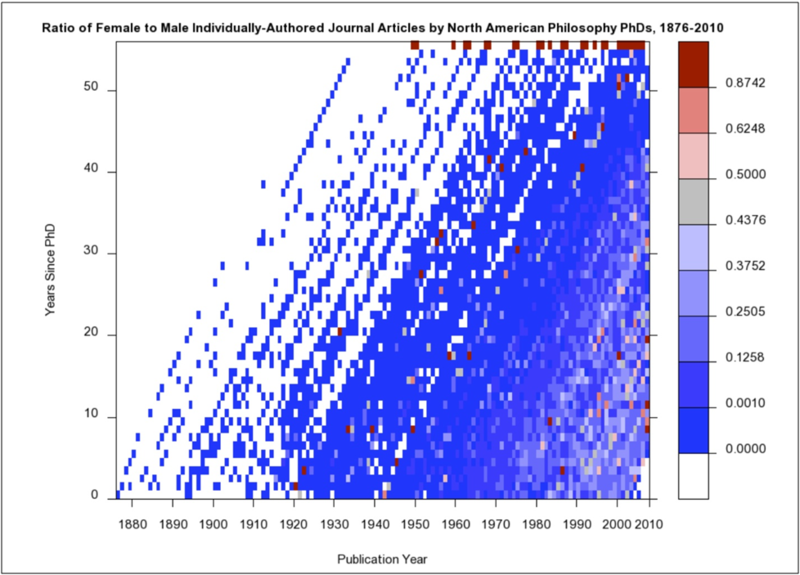 For example, I’ve used them to study gender ratios in publication rates of academic philosophers (treating PhD date as “birth” or entry into the field). The visualizations above were created with Kirill Andreev’s Lexis Map Viewer, which was last updated in 1997 and requires Windows 3.1 or higher. Though the software is still great at what it does, it’s relatively obscure in the wider visualization world and outputs only static images. Below, I’ve outlined the key steps for making Lexis maps in Tableau Public, in hopes that demographers and others will be able to make use of this free tool. As with other datasets, Tableau requires normalized (not crosstab) data. 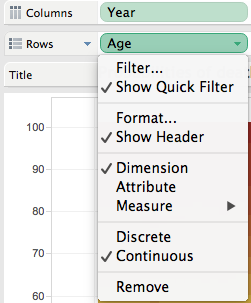 There’s a great post on how to shape your data for Tableau, but most demographic data comes readily formatted. Columns: This is your variable for year—be sure to set the options to Dimension and Continuous. Rows: Your variable for age. Again, this does not have to be natural age; some other examples might be grade level, or time from graduation. Be sure to set the options to Dimension (not sum) and Continuous. Detail: The variable of interest—in my case, probability of death, q(x). 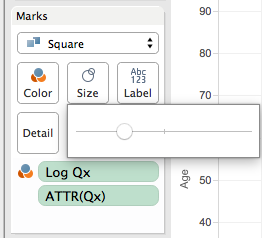 Marks and Size: Set the visualization type to Square and adjust the size so that each data point is just large enough that there is no white space between them (the smallest auto size usually works). Filters: If you want to allow people to filter by year or age, add those variable to Filters and set them as Quick Filters. I put those below my graph so they are present but not distracting. Color: The trickiest part. I realized that Lexis Map Viewer doesn’t use a linear scale for color, probably to highlight changes in trends more clearly. To replicate this effect, I created a calculated field on my variable of interest (right click on the variable) and computed the log of my variable, q(x). I used this new calculated field for Color, and chose a temperature diverging scale with 18 steps (the same number used in the original graph). 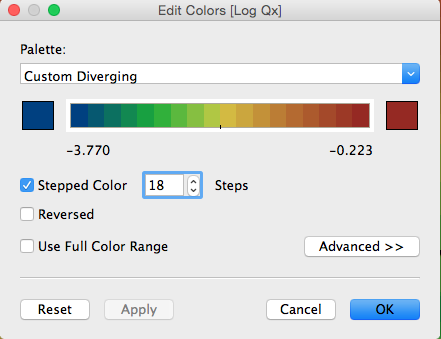 If you want a smoother display, use more steps or turn off stepped color. 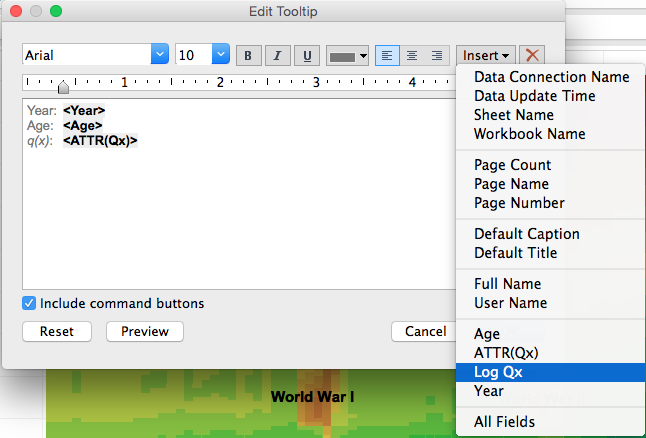 Tooltip: Finally, set up your Tooltip to display the information you want on hover. Since we use the calculated field and not the actual variable, I added that to Detail first (as Attribute), then I customized the Tooltip by removing the calculated field and adding my variable, q(x). Andreev, Kiril. Lexis Map Viewer, Version 1.0. [Computer program.] http://www.demogr.mpg.de/books/odense/9/cd/default.htm. Lexis, Wilhelm. 1875. Einleitung in die Theorie der Bevölkerungsstatistik. Karl Trübner, Straßburg. OCLC 27127671. Vandeschrick, Christophe (2001). The Lexis diagram, a misnomer. Demographic Research, 4(3):97-124. URL http://www.demographic-research.org/Volumes/Vol4/3/4-3.pdf. Vaupel, James W., Wang Zhenglian, Kirill F. Andreev, and Anatoli I. Yashin (1998). Population Data at a Glance: Shaded Contour Maps of Demographic Surfaces over Age and Time. Odense Monographs on Population Aging, 4. Odense University Press. http://www.demogr.mpg.de/Papers/Books/Monograph4/start.htm. Every semester, students tell me that diving into DH can be daunting, especially because of the diversity of the field—there’s much to learn, much to read, much to play around with. I also suspect it’s harder for LIS students because their programs are not squarely grounded in a humanities discipline and they don’t have the same domain/content background, research questions, or intellectual support as humanities students. LIS professionals also have to facilitate work across various humanities disciplines, making specialization impossible in every case. (1) Read TaDiRAH, the crowdsourced taxonomy of digital humanities activities, objects, and techniques. (2) Subscribe to dh+lib or follow @dhandlib for a weekly roundup of recommended readings, resources, posts, calls for papers/participation, jobs, and more. (3) Join ACRL’s DHIG listserv (Association of College & Research Libraries’ Digital Humanities Interest Group), where members share info and discuss current issues in their DH work. (4) Follow @DHtrends, a weekly digest of DH tweets during fall and spring semesters, curated by students at Pratt SILS. (5) Read Lisa Spiro’s excellent post on “Getting Started in the Digital Humanities,” which is useful and comprehensive for all audiences. If you’re interested in how to foster DH work on your campus, I have some suggestions in the conclusion of my article on DH and libraries. with Matt Miller. Literary and Linguistic Computing 29(3): 452-464 . ABSTRACT This paper examines prospects and limitations of citation studies in the humanities. We begin by presenting an overview of bibliometric analysis, noting several barriers to applying this method in the humanities. Following that, we present an experimental tool for extracting and classifying citation contexts in humanities journal articles. This tool reports the bibliographic information about each reference, as well as three features about its context(s): frequency, location-in-document, and polarity. We found that extraction was highly successful (above 85%) for three of the four journals, and statistics for the three citation figures were broadly consistent with previous research. We conclude by noting several limitations of the sentiment classifier and suggesting future areas for refinement. 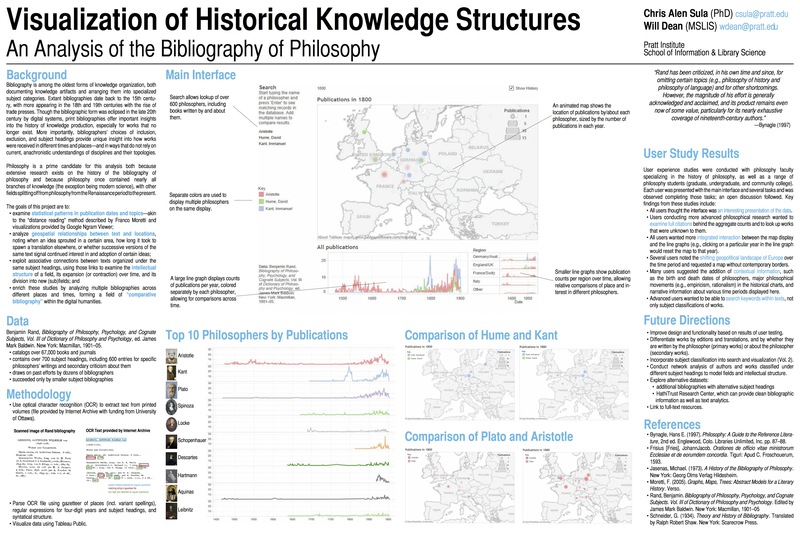 ABSTRACT This poster presents statistical, geospatial, and network visualizations of the history of philosophy as reflected in bibliographic work in the field. Together, these interactive visualizations explore the prospect of comparative bibliography within the digital humanities. Read full abstract in the DH2014 proceedings. Explore the interface prototype by clicking on the image below. Visual First Amendment uses data-driven visualizations to produce a new and engaging look at Supreme Court rulings on the First Amendment. Our interactive displays allow visitors to explore the interrelation of issues, cases, courts, and justices over time, and to consider the broad social and legal changes that have impacted First Amendment rulings on the freedoms of religion, speech, press, assembly, and petition. The project contributes to a growing body of public datasets and interfaces used by journalists, researchers, and the general public for a variety of purposes, among them civic literacy and government accountability. A short video describing the project is available at http://bit.ly/VFAintro. Electronic Visualisation in Arts and Culture, eds. Jonathan P. Bowen, Suzanne Keene, and Kia Ng. Springer (2013): 25–37. This chapter is an updated and extended version of the following paper, published here with kind permission of the Chartered Institute for IT (BCS) and of EVA London Conferences: C.A. Sula, “Quantifying Culture: The value of visualization inside (and outside) libraries, museums, and the academy.” In S. Dunn, J. P. Bowen, and K. Ng (eds.). EVA London 2012 Conference Proceedings. Electronic Workshops in Computing (eWiC), British Computer Society, 2012. http://www.bcs.org/ ewic/eva2012 (accessed 26 May 2013). The beginning of page numbers from the printed version are indicated in /red/ below. ABSTRACT As cultural heritage work increasingly involves quantitative data, the need for sophisticated tools, methods and representations becomes ever more pressing. The field of information visualisation can make a helpful intervention here. This chapter explores four types of value associated with visualisation (cognitive, emotional, social and ethical/political) and discusses their prospects and limitations, including examples. The chapter concludes with a case study illustrating the value of visualisation. Two types of data may be involved with cultural heritage work. One is metadata, which describes these digital objects in a structured format and facilitates information retrieval, organisation and architecture. The second type is the data present in the content of items themselves, especially in the case of digitised records. Birth certificates, census counts and other ambient records are physical instruments for collecting and storing information. They have fields for “given name” or “race” or for more administrative metadata, such as record number or preparer. This information may be transformed into digital data by employing character recognition and also by exploiting the fact that these records are visual materials, whose layouts provide important clues about the types of information being recorded. Names are tagged as “Name,” letters and numbers become “Date of birth,” and so on. These values may even enter into databases where they can be aggregated, compared, merged and reconciled with other datasets. Born-digital artifacts are even richer in quantitative information. Many photos, tweets and posts now carry embedded geospatial data, and the platforms that host them capture relationships between people and groups, forming large-scale social networks, the scope and documentation of which is unprecedented in human history. Though data comes in various types (e.g., numerical, geospatial, relational), it may all be discussed under the rubric of “quantitative” information. The defining characteristic of quantitative data is regularisation through fields, value formats and validation. Qualitative data, or “document-centric” information , lacks these structures and is open in length and format, often preventing validation. Part of the reason why it is worth considering both types of information as “data” is that both are susceptible to analysis through computational means: statistical processing in the former case and natural language, image, or audio processing in the latter. These analytical methods also bring with them the need for more advanced representations of results. In the case of large collections, one simply cannot process such high-volume longitudinal data in a textual form. Attempting to do so would exhaust limits of human memory and attention long before trends could be noticed. The field of information visualisation can make a helpful intervention here. Visualisation, broadly defined, sits at the centre of cognitive science, computer visualisation and data analysis. Colin Ware defines the term ‘visualisation’ as “a graphical representation of data or concepts,” specifically designed to harness and augment basic powers of human perception for the task of comprehending large-scale information . Current information visualisations allow viewers to browse through complex datasets, noting top-level patterns and trends and often drilling down into more detailed information. Lin  reviews several early studies that identify contexts in which information visualisation is particularly useful: where there is an organisational structure that brings related items together , when users are unfamiliar with a collection  or its organisation , when users have trouble describing their information needs , or when information is easier to recognise than describe . All of these instances have wide application to the /27/ materials found in cultural heritage institutions and many are especially relevant to the case of structured, quantitative data. Though cognitive enhancements are the most frequently discussed benefits of visualisation, they do not exhaust a theoretical account of the value of visualisation. After all, many trends, groupings and hypotheses generated through visualisations require independent, statistical confirmation. Though visualisation may help show the way, or, “answer questions you didn’t know you had” , it is not the final or only approach to large data and its value is not limited strictly to its interaction with human cognitive systems. A more complete account would recognise other types of value added by visualisation, including emotional and social value, as well as ethical and political value. The following four sections each develop one type of value associated with visualisation. Each section also highlights examples of visualisation related to cultural information and suggests future areas of research to enhance our understanding of the development, use and evaluation of visualisation. Encoding info in a manipulable medium. Visualisations that make good use of pre-attentive processing often help viewers to grasp large, complex datasets for the first time. This characterisation is reflected in Franco Moretti’s Graphs, Maps, Trees: Abstract Models for a Literary History . As opposed to the close readings of a single text that typify literary scholarship, Moretti employs a “distance reading” method: “instead of concrete, individual works, a trio of artificial constructs – graphs, maps, trees – [is used] in which the reality of the text undergoes a process of deliberate reduction and abstraction…. fewer elements, hence a sharper sense of overall interconnection. Shapes, relations, structures. Forms. Models” (p. 1). In particular, Moretti’s graph of the rise of the novel in Britain and Japan (1700s), Italy and Spain (1800s) and Nigeria (1900s) provokes new questions about the development of the genre and the underlying forces of industrialisation that account for these trends. “[M]ost radically,” he says of quantitative visualisations, “we see them falsifying existing theoretical explanations, and ask for a theory” (p. 30). In addition to amplifying cognition, visualisation has also been discussed in the context of aiding decision-making , as well as facilitating collaboration, engaging new audiences and fostering higher levels of understanding . Additional social uses of visualisation are discussed in section “Visualisations as Social Objects” of this chapter. A helpful example of cognitive enhancement applied to cultural materials is “Mapping the Republic of Letters: Exploring Correspondence and Intellectual Community in the Early Modern Period (1500–1800),” based at Stanford University (http://republicofletters.stanford.edu). The primary source material for the project includes over 2,000 correspondents who formed a communication network across Europe, Asia, Africa and the Americas and different project interfaces leverage mapping and network analysis techniques to trace interactions across space and time (Fig. 3.1). A key macroscopic component of this effort is its focus on high-level trends, structures and patterns, rather than the individuals that compose and exist within those larger elements. Such visualisations are no substitute for detailed analysis of primary source documents but rather an alternative method for understanding a set of material. The hundreds of individuals and thousands of connections between them could not be apprehended in textual form, yet visualisation renders these documents quite saliently at a glance. Even in-depth studies of visualisation aesthetics examine general features such as “beauty” and “ugliness” [22, 23]. Though research into visualisation and the emotions is sorely lacking, emotions have been found to play an important (although infrequently discussed) role in information processing generally  and it is reasonable to suspect that emotions enter into perceptions of visualisations, either alone or (more likely) in tandem with cognitive and other factors. Visual elements such as shape, flow, texture, position and colour are likely to elicit emotional responses from viewers, much in the same way that those elements engage preattentive processing to amplify cognition. More extensive studies of emotion and visualisation might explore the ways in which emotions bind to particular visual elements (perhaps differentially); interact with preattentive processing and Gestalt effects; facilitate cognition, meaning and understanding; and influence decision-making and action with respect to visualisation. Greene found that only eight colour categories plus white were consistently named with better than 75 % probability  and more recent studies have stressed that the meaning of colour terms varies across cultures, along with the emotions that colours evoke [29, 30]. An ambitious (if questionable) attempt to understand colour in culture has come through David McCandless’s chart of 13 colours and their 85 emotional associations across 10 cultural groupings . (An interactive visualisation is also available .) This chart is based on data from “Pantone, ColorMatters, and various web sources,” making it hard to fully evaluate its research methodology for consistency and reliability. More rigorous research into colour, emotion and visualisation might also reveal best practices for using colour to convey certain messages or, conversely, alert researchers to manipulative uses of colour – all with reference to cultural variations in the emotional significance of colour. In the absence of such research, it is premature to speculate about more systematic relationships between colour, emotion and visualisation. IBM researcher Martin Wattenberg was among the first to discuss the “social life of visualizations,”  in which audience members participate in social data analysis through shared discussions, hypotheses testing and even gameplaying. These and other social uses of visualisation draw attention to the sense in which visualisations, once created, are social objects – artifacts, documents, things – that can be held up, examined, critiqued and shared. Heer similarly notes that such objects can establish shared interpretations (e.g., “do you see what I see?”), create spaces for conversation and break conventional boundaries through expected uses and reinventions of technology . Both researchers point to NameVoyager, an interactive visualisation of baby name data from the 1880s to the present , which sparked wide-spread discussion well beyond the intended user community of prospective parents. More recent research has explored visualisation-based collaboration, both synchronous and asynchronous. This literature generally recognises the complex and specialised nature of information processing in the present day, hoping to meet this task with the joint forces of visualisation, collaboration and social intelligence. Collaborative contexts for visualisation may range from viewing visualisations in group environments (e.g., lectures, presentations), to collaborative interaction/ exploration and sharing/creating of visualisations . Specific tasks accomplished by visualisation include dividing and allocating work; establishing common ground and awareness; providing reference and deixis (context); offering incentives for engagement; promoting identity, trust and reputation; mediating group dynamics; and facilitating consensus and decision making . Specific attention has also been paid to design elements and affordances that facilitate usability and group interaction, including segmented discussion spaces, pointing /31/ and annotation mechanisms, collection creation and linked views ; the wide range of skill level different viewers may bring with them to the same visualisation ; and “casual” visualisation, including ambient visualisation, artistic visualisation and other examples . In some cases, visualisation also facilitates data collection. A common example is rating and commenting interfaces that also display aggregated feedback through visualisations. Another example is the Transborder Immigrant Tool, a digital art project by Micha Cardenas and Jason Najarro at the University of California San Diego, which uses hacked Nextel cell phones to track immigrant geolocations across the Mexico/U.S. Border. As well as providing undocumented immigrants with access to map information, the application’s creators hope it will “add an intelligent agent algorithm that would parse out the best routes and trails on that day and hour for immigrants to cross this vertiginous landscape as safely as possible” . The problem of bias has long been discussed with reference to acts of collection and curating, especially where cultural materials are concerned. Decisions over which items to collect, preserve and digitise, as well as how to categorise and disseminate them, all position cultural heritage institutions as contested sites of power. How visualisation might change, mediate, or interact with such power is a pressing ethical question. The data foundation of visualisations often bestows a false air of objectivity and neutrality upon them. As Huff pointed out long ago, it is always possible to lie with statistics  and so too is it possible to lie with the datasets that form the basis of visualisations, if not the visual representations themselves. No matter how neutral or objective a dataset or collection purports to be, there may be residual biases in measurement design, modelling techniques or background assumptions. Cathy Davidson puts the point nicely: “Data transform theory; theory, stated or assumed, transforms data into interpretation. As any student of Foucault would insist, data collection is really data selection. Which archives should we preserve? Choices based on a complex ideational architecture of canonical, institutional, and personal preferences are constantly being made” . In this respect, a more robust “ethics of visualisation” is needed to guide practitioners toward transparent and critical approaches to their data. On occasion, visualisation can be of help in bringing questionable data to the fore of discussion. If large portions of continuous trend data are missing or a significant number of outliers present, such omissions or deviations will be plainly visible in faithful representations. These visual cues invite questions about whether trends are indeed as they appear, whether outliers are genuine outliers or something else (e.g., perhaps nothing more than an innocent keystroke error during data entry). Visualisations can even be used to represent imperfect data, as shown in a recent study that examined uncertainty across 18 different subject domains . Though /32/ the arts and humanities were largely absent from this study, the five cross-domain categories for understanding uncertainty (measurement, completeness, inference, credibility and disagreement) are easily transferable to many disciplines. Visual techniques may not be able to address all types or degrees of uncertainty, but they can represent many of them more fully than statistical measures – especially measures of central tendency – and help to reduce the impression that findings are determinate or at least more certain than they are. Such techniques must be incorporated in the design process more frequently to be successful and Boyd Davis et. al. (Chap. 17) note how unusual it is for historical visualisations to bother representing imprecision or uncertainty. Still, we must be on guard about the power of visualisations to misrepresent and mislead – as all representations can. Though some resources exist for visualisers, especially journalists [44–46], their guidance is mainly confined to case-based design studies and question of accuracy. Similar examples are found outside the world of journalism [47, 48], but they go little beyond questions of accuracy and design. Subtler effects of omission, framing, emotional manipulation and other ticks are rarely discussed – nor anything about the way in which visualisation might be used to good purpose by raising awareness, providing insight, or correcting false beliefs. At present, it is worth noting that the shift toward quantitative data provides a level of empirical verifiability that is not found in many non-quantitative forms of visualisation. This shift provides wronged parties with a framework within which to question claims, seek redress and present counter-narratives, in much the same way that human rights advocates have historically advanced empirical realities in the service of greater equality. This process is far from perfect; evidence can be ignored and powerful bodies often have more resources to produce data than those with less privilege. Nevertheless, an empirical framework is, in principle, more disinterested on the whole. The victors can still write history, but only insofar as they can measure it – and cannot avoid all measurements of it, even those that challenge established narratives. Visualisation, however, can do more than just reduce harm through minimising bias, error and false completeness; it can also help individuals and groups, especially those that are unrepresented or underrepresented in the past or present. 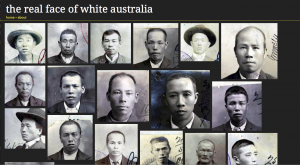 A prominent example here is Invisible Australians (http://invisibleaustralians.org), which documents Indigenous Australians and thousands of non-Europeans – including Chinese, Japanese, Indians, Afghans, Syrians and Malays – who faced discriminatory laws and policies. 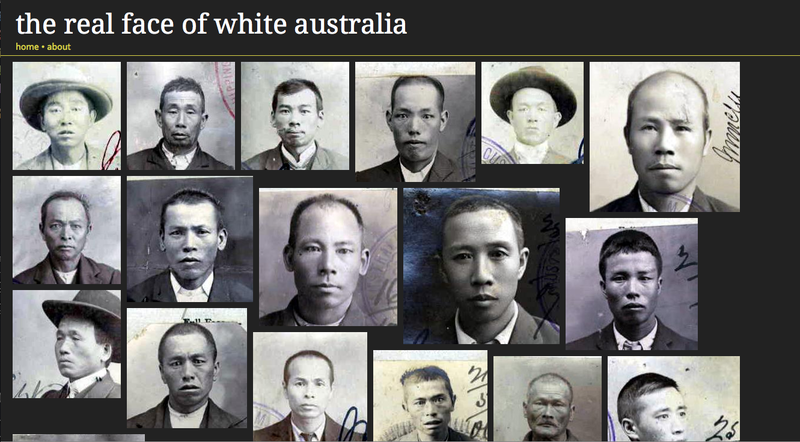 The site draws together government records of these individuals, including archival photos (Fig. 3.2) and attempts to “link together their lives.” While the site currently focuses on more qualitative aspects of their lives, the quantitative possibilities abound, from frequency charts and line graphs of their history to geo-spatial mapping and network graphs of their activities and connections. These and other such uses of visualisation belong to a broader study of “liberation technology” [49–51]. As Diamond  points out, though internet and communications technology can be used for censorship, it can also allow individuals to “report news, expose wrongdoing, express opinions, mobilise protest, monitor elections, scrutinise government, deepen participation, and expand the horizons of /33/ freedom” (p. 70). More generally, it can help create a pluralistic sphere of public discussion before democratic rights are even present. Though much of this literature is centred around contemporary notions of democracy, it should also be noted that the vast amount of cultural heritage materials available for visualisation speak to a range of political, economic and social arrangements of power. Such a claim has obvious importance, both for those interested on the legacy of the Occupy movement and for the American political landscape in general. Though many have offered speculations about the ultimate impact of Occupy, compelling empirical data has yet to fully emerge. Part of this effort has been taken up by branches of the Occupy movement, including OccupyData NYC, which hosts regular hackathons to analyze and visualise data produced by and about the Occupy movement and related issues. This case study, led by the author over several hackathons, investigates three moments in the Occupy movement drawn from three issues of the Occupy Wall Street Project List published between February and July 2012. Each issue lists several dozen projects and participating organisations, including Occupy-related groups, community organisations, political organisations, religious/spiritual organisations and unions. From these lists, relational data was extracted about partner organisations, providing a window into the shifting structure of the Occupy movement within the larger American landscape. Organisations listed in the directory of the New York City General Assembly (oriented around the physical occupation of Zuccotti Park) were categorised separately from larger Occupy-related groups to study the special role of space in the movement. Notably, the data was all generated by the Occupy community itself, which provides a degree of ethological validity lacking in external interpretations of the movement. Non-Occupy organisations were classified through web research. In a series of network visualisation (Fig. 3.3), each project is represented as set of lines between partner organisations. The resulting force-directed network graphs provide powerful, macroscopic views of (sub)cultures arising from these projects and hint at larger patterns of growth, development, division and perhaps even replication within the movement. Two trends are particularly noticeable across these visualisations. The first is a shift in structural relationship between NYCGA and Occupy-related groups /35/ and community organisations (shown in black). In February 2012, NYCGA and Occupy-related groups are found in dense clusters, often separated from community organisations on the fringe of the movement. By the end of the period, these organisations are more fully integrated into topical clusters around financial, political, educational, health care, labour, arts and culture and other areas of advocacy (all viewable in the detailed online version). The second trend is a shift in the overall structure of partnership from a highly centralised network to a looser, chain-and-link model, with major NYCGA and Occupy-related groups connecting the various issue-based clusters. Such observations seem to support the description of Occupy 2.0 presented in Time and raise further questions about the causes and significance of these shifts. These images again underscore the social nature of visualisations: the sense in which they and their contents may be discussed and disseminated among broader audiences. Colour versions of these images were exhibited at the James Gallery at the Graduate Center of the City University of New York in March 2013 along with other materials produced by OccupyData NYC. Each image was printed and placed in a small petri dish, evoking themes of surveillance, monitoring and control as well as the use of visualisation for self-reflection, understanding and intentional practice. Informal observations of visitors noted a range of reactions to these images, with some seeing fragmentation and discord and others noting a broader base of support and work with community organisations. Though cultural heritage institutions are faced with a deluge of digital information, the process of presenting such materials is greatly facilitated by visualisation, which holds vast potential for providing context, insight and perspective with large-scale datasets. The empirical foundations of such datasets also support visualisations that reduce bias and represent individuals, groups and events more fully. While significant work remains in developing and preserving visualisations, the field provides exciting ground for the task of quantifying – and visualising – culture. Pitti, D. (2004). Designing sustainable projects and publications. In S. Schreibman, R. Siemens, & J. Unsworth (Eds. ), Companion to digital humanities (Blackwell companions to literature and culture). Oxford: Blackwell Publishing Professional. Ware, C. (2004). Information visualization: Perception for design (1st ed.). San Francisco: Morgan Kaufmann. Lin, X. (1997). Map displays for information retrieval. Journal of the American Society for Information Science, 48(1), 40–54. Motro, A. (1986). BAROQUE: A browser for relational databases. ACM Transacions on Information Systems, 4(2), 164–181. Marchionini, G. (1997). Information seeking in electronic environments. Cambridge: Cambridge University Press. Belkin, N. J., Oddy, R. N., & Brooks, H. M. (1982). ASK for information retrieval: Part I. Background and theory. Journal of Documentation, 38(2), 61–71. Bates, M. J. (1986). An exploratory paradigm for online information retrieval. In B. C. Brooks (Ed. ), Intelligent information systems for the information society: Proceedings of 6th IRFIS conference (91–99). New York: North-Holland. Plaisant, C. (2004). The challenge of information visualization evaluation. In Proceedings of working conference on advanced visual interfaces (109–116), New York. Card, S. K., Mackinlay, J. D., & Shneiderman, B. (1999). Readings in information visualization: Using vision to think. New York: Morgan Kaufmann. Larkin, J. H., & Simon, H. A. (1987). Why a diagram is (sometimes) worth 10,000 words. Cognitive Science, 11, 65–99. Healey, C. G., & Enns, J. T. (2012). Attention and visual memory in visualization and computer graphics. IEEE Transactions on Visualization and Computer Graphics, 18(7), 1170–1188. Moretti, F. (2005). Graphs, maps, trees: Abstract models for a literary history. Brooklyn/New York: Verso. Isenberg, P., Elmqvist, N., Scholtz, J., Cernea, D., Ma, K.-L., & Hagen, H. (2011). Collaborative visualization: Definition, challenges and research agenda. Information Visualization, 10(4), 310–326. Bresciani, S., & Eppler, M. J. (2009). The risks of visualization. In P. J. Schulz, U. Hartung, & S. Keller (Eds. ), Identität und Vielfalt der Kommunikations-wissenschaft (pp. 165–178). Konstanz: UVK Verlagsgesellschaft. Tufte, E. R. (1990). Envisioning information Cheshire: Graphic Press. Cawthon, N. (2007). Qualities of perceived aesthetic in data visualization. In Proceedings of 2007 conference on designing for user experiences (p. 9:1), New York. Tversky, B. (2005). Visuospatial reasoning. In K. J. Holyoak (Ed. ), The Cambridge handbook of thinking and reasoning (pp. 209–240). New York: Cambridge University Press. Chen, C. (2005). Top 10 unsolved information visualization problems. IEEE Computer Graphics and Applications, 25(4), 12–16. Wainer, H. (1984). How to display data badly. The American Statistician, 38(2), 137–147. Tufte, E. R. (1986). The visual display of quantitative information. Cheshire: Graphic Press. Cawthon, N., & Moere, A. V. (2007). The effect of aesthetic on the usability of data visualization. In Information visualization, 2007. IV’07. 11th international conference (pp. 637–648). Cawthon, N. (2009). Aesthetic effect: Investigating the user experience of data visualization. Australia: University of Sydney. Lopatovska, I., & Arapakis, I. (2011). Theories, methods and current research on emotions in library and information science, information retrieval and human–computer interaction. Information Processing and Management, 47(4), 575–592. MacDonald, L. W. (1999). Using color effectively in computer graphics. IEEE Computer Graphics and Applications, 19(4), 20–35. Berlin, B., & Kay, P. (1969). Basic color terms: Their universality and evolution. Berkeley: University of California Press. Adams, F. M., & Osgood, C. E. (1973). A cross-cultural study of the affective meanings of color. Journal of Cross-Cultural Psychology, 4(2), 135–156. Post, D. L., & Greene, F. A. (1986). Color name boundaries for equally bright stimuli on a CRT: Phase I. Society for Information Display, Digest of Technical Papers, 86, 70–73. Gao, X.-P., Xin, J. H., Sato, T., Hansuebsai, A., Scalzo, M., Kajiwara, K., Guan, S.-S., Valldeperas, J., Lis, M. J., & Billger, M. (2007). Analysis of cross-cultural color emotion. Color Research and Application, 32(3), 223–229. McCandless, D. (2009). Colours & cultures [infographic]. In D. McCandless (Ed. ), Information is beautiful (p. 0076). London: Collins. See also “Colours in culture.” http://www. informationisbeautiful.net/visualizations/colours-in-cultures/. Accessed 2 May 2012. Hodges, P. (2011). Interactive colours in culture. Zoho: Lab, UK, 23 March. http://lab.zoho. co.uk/lab/interactive-colours-in-culture. Accessed 11 Dec 2012. Wattenberg, M. (2005). The social life of visualizations. Berkeley: University of California. Heer, J. (2006). Socializing visualization. In CHI 2006 workshop on social visualization, Montréal. Generation Grownup, LLC. (2010). NameVoyager. The Baby Name Wizard, 10 October. http://www.babynamewizard.com/voyager#. Accessed 31 Jan 2013. Heer, J., & Agrawala, M. (2008). Design considerations for collaborative visual analytics. Information Visualization, 7(1), 49–62. Heer, J., Viégas, F. B., & Wattenberg, M. (2009). Voyagers and voyeurs: Supporting asynchronous collaborative visualization. Communications of the ACM, 52(1), 87–97. J.-D. Fekete, & C. North (Eds. ), Information visualization. Berlin: Springer. Pousman, Z., Stasko, J., & Mateas, M. (2007). Casual information visualization: Depictions of data in everyday life. IEEE Transactions on Visualization and Computer Graphics, 13(6), 1145–1152. Electronic Disturbance Theater. (2012). About this project. Transborder Immigrant Tool. Internet Archive, 2 May. http://web.archive.org/web/20120502200742/bang.calit2.net/xborderblog/?page_id=2. Accessed 14 May 2013. Huff, D. (1954). How to lie with statistics. New York: Norton. Davidson, C. N. (2008). Humanities 2.0: Promise, perils, predictions. PMLA, 123(3), 707–717. Skeels, M., Lee, B., Smith, G., & Robertson, G. G. (2010). Revealing uncertainty for information visualization. Information Visualization, 9(1), 70–81. Gray, J., Bounegru, L., & Chambers, L. (Eds.). (2012). The data journalism handbook: How journalists can use data to improve the news. Sebastopol: O’Reilly Media. The New York Times Company. (2013). The New York Times Company policy on ethics in journalism. http://www.nytco.com/press/ethics.html. Accessed 30 Jan 2013. Society of Professional Journalists. (2013). Society of Professional Journalists: SPJ code of ethics. http://spj.org/ethicscode.asp. Accessed 30 Jan 2013. Kosara, R. (2011). Visualization is growing up. eagereyes, 6 November. http://eagereyes.org/blog/2011/visualization-is-growing-up. Accessed 31 Jan 2013. Lima, M. (2009). Information visualization manifesto. VC blog, 30 August. http://www.visualcomplexity.com/vc/blog/?p=644. Accessed 7 Jan 2013. Diamond, L., & Plattner, M. F. (Eds.). (2012). Liberation technology: Social media and the struggle for democracy. Baltimore: The Johns Hopkins University Press. Chopra, S., & Dexter, S. D. (2007). Decoding liberation: The promise of free and open source software (1st ed.). London: Routledge. Deibert, R., & Rohozinski, R. (2010). Liberation vs. control: The future of cyberspace. Journal of Democracy, 21(4), 43–57. Diamond, L. (2010). Liberation technology. Journal of Democracy, 21(3), 69–83. Matthews, C. (2012). Occupy 2.0. Time, 3 December 2012. ABSTRACT This paper examines prospects and limitations of citation studies in the humanities. We begin by presenting an overview of bibliometric analysis, noting several barriers to applying this method in the humanities. Following that, we present a novel online tool for extracting and classifying citations in the humanities. 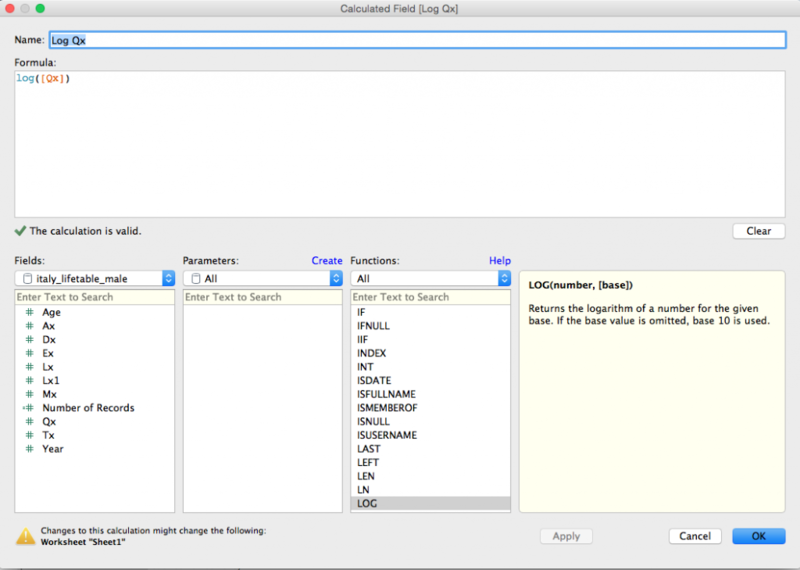 This tool uses both document layout recognition and natural language processing techniques to classify citations in three ways: frequency, location-in-document, and polarity. Read the full paper in DH2013 conference proceedings. This is an electronic peer-reviewed version of an article published in Journal of Library Administration 53(1) (2013): 10–26. The article is available online at http://www.tandfonline.com/doi/abs/10.1080/01930826.2013.756680. The beginning of page numbers from the printed version are indicated in /red/ below. This list of links to peer-reviewed open access versions of the articles was prepared by Micah Vandegrift, who explains here here how he negotiated our publishing contracts—and won. ABSTRACT Though there has been much discussion of the connection between libraries and digital humanities (on both sides), a general model of the two has not been forthcoming. Such a model would provide librarians with an overview of the diverse work of digital humanities (some of which they may already perform) and help identify pockets of activity through which each side might engage the other. This paper surveys the current locations of digital humanities work, presents a cultural informatics model of libraries and the digital humanities, and situaties digital humanities work within the user-centered paradigm of library and information science. While skeptics today remain unsure of the “newness” of digital humanities (DH) or how it will impact the content of scholarship (Fish, 2011, 2012a, 2012b; Marche, 2012), DH has already had significant influence on discussions of scholarly communication, funding, and tenure and promotion. Nearly 300 digital humanities grants and fellowships have been awarded by National Endowment for the Humanities (NEH, 2012a) since 2007 (this figure does not include grants for preservation, infrastructure, and cultural heritage, or funding from other other agencies for humanities projects that include a digital component). The Modern Language Association (2012) has issued guidelines for evaluating digital scholarship for the purposes of tenure and promotion, and job candidates lament that many openings in the humanities now require some background in digital humanities (MLA Jobs Tumblr, 2012). For a growing list of DH jobs, see the Digital Humanities Job Archive (2012). Given the impact of digital humanities on these institutionalized processes, it is natural to wonder how DH might be connected to one of the oldest institutions in knowledge work: the library. Of all scholarly pursuits, Digital Humanities most clearly represents the spirit that animated the ancient foundations at Alexandria, Pergamum, and Memphis, the great monastic libraries of the Middle Ages, and even the first research libraries of the German Enlightenment. It is obsessed with varieties of representation, the organization of knowledge, the technology of communication and dissemination, and the production of useful tools for scholarly inquiry. Several others have asked if the library can function as a space for the digitization, computation, and preservation work that accompanies DH projects. For evidence of continuing interest in libraries, one need look no further than recurring sessions on libraries at THATCamp—a series of locally-organized unconferences—attendance at which has been discussed as a defining characteristic of digital humanists. The pop-up topics at THATCamps frequently include the library, and a special THATCamp Libraries was held in November 2012 in conjunction with the 2012 Digital Library Federation Forum. Within library and information science (LIS), there is a corresponding (if more dispersed) discussion of DH. Though DH is less prominent at national conferences as compared to MLA, it has received attention within the field, including major organizations. The American Library Association’s (ALA) Association of College and Research Libraries hosts a listserv for digital humanities discussion and recently launched a new blog that includes events, resources, case studies, and tools (http://acrl.ala.org/dh). The Council on Library and Information /12/ Resources and the Association of Association of Research Libraries have both published major reports on digital humanities centers, which are discussed in section two below. The Institute of Museum and Library Services (IMLS) has also supported collaboration between iSchools and digital humanities centers, including internships for LIS masters students working in the digital humanities (iSchools & The Digital Humanities). 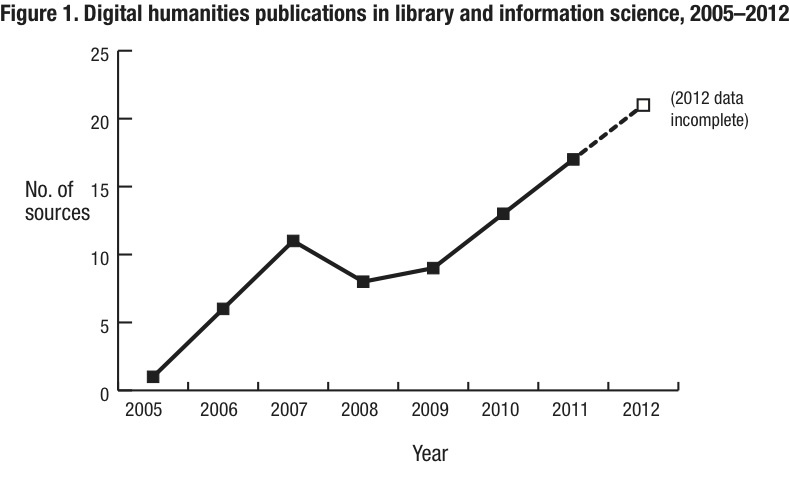 A search for “digital humanities” within library and information science literature reveals a steady increase in publications since 2005 in the Library, Information Science & Technology Abstracts (LISTA) database, which indexes over 700 journals as well as books, research reports, and proceedings (see Figure 1). It is remarkable that publications on digital humanities have nearly doubled in 2012, with more still being indexed at the time of this publication. Since topic titles involve significant interpretation, it is helpful to triangulate the assignments using a variety of methods. In the case of the LISTA abstracts, five topics were created using LDA, and titles were assigned, first, by examining the term clusters and the abstracts in which they occur. For example, a number of abstracts in the first topic concerned access to arts and humanities collections, as well as online resources. Since these full under the province of subject librarians, the topic was titled, “arts and humanities librarianship.” In some cases, it was helpful to examine the full dataset (not just cluster of top ten words) using a network graph (see Figure 2). In this graph, each document appears with its weighted relations (i.e., probability assignments) to topics. Documents and topics that are more closely related appear together, while those that are unrelated or weakly related are pushed apart. This graph helped in assigning titles to topics 1 and 5, which are more closely related to each other than any other pair in the corpus. The titles “arts and humanities librarianship” and “research communities” (respectively) help to express this relationship, since subject librarianship is indeed connected to understanding various research communities and their needs, resources, and methods of communication. Given this significant overlap in interests, competencies, and institutional structures, we are left to wonder not whether but how libraries can join in the work of digital humanities. Some commentators follow Micah Vandegrift’s (2012) enthusiastic injunction, “Stop asking if the library has a role, or what it is, and start getting involved in digital projects that are already happening.” (For more details on this view, see Vandegrift and Varner (this issue)). Others are less sanguine about the realities of librarianship and the possibility for jumping into new, digital humanities projects. Miriam Posner (this volume) highlights important institutional barriers to DH work in the library, including workload, conventions of assigning credit solely to faculty members, and lack of institutional commitment. Further discussion of challenges are found in LibraryLoon (2012), Furlough (2012), Muñoz (2012), and Galina Russell /15/ (2011). These challenges doubtless vary among and within institutions, so a general formula for the connection between libraries and digital humanities does not seem forthcoming. 2A. Concepts and issues related to the lifecycle of recorded knowledge and information, from creation through various stages of use to disposition. 2B. Concepts, issues, and methods related to the acquisition and disposition of resources, including evaluation, selection, purchasing, processing, storing, and deselection. 2D. Concepts, issues, and methods related to the maintenance of collections, including preservation and conservation. 3B. The developmental, descriptive, and evaluative skills needed to organize recorded knowledge and information resources. 3C. The systems of cataloging, metadata, indexing, and classification standards and methods used to organize recorded knowledge and information. 4A. Information, communication, assistive, and related technologies as they affect the resources, service delivery, and uses of libraries and other information agencies. 4D. The principles and techniques necessary to identify and analyze emerging technologies and innovations in order to recognize and implement relevant technological improvements. 5D. Information literacy/information competence techniques and methods, numerical literacy, and statistical literacy. 5E. The principles and methods of advocacy used to reach specific audiences to promote and explain concepts and services. 5F. The principles of assessment and response to diversity in user needs, user communities, and user preferences. 6A. The fundamentals of quantitative and qualitative research methods. What remains possible, however, is a sketch of the conditions under which libraries may be more favorable to digital humanities work (and when it may happen elsewhere) and a general conceptual model of libraries and the digital humanities. This latter project has two parts. First, it should be possible to articulate the variety of ways in which libraries engage with DH and to locate these interactions in some larger relational framework. Such a model would provide librarians with an overview of the diverse work of digital humanities (some of which they may already perform) and help identify pockets of activity through which each side might engage the other. Second, it should be possible to situate DH work in libraries within larger paradigms or philosophies of the field. Doing so would integrate DH work more fully into the overall life of the library, providing grounds for establishing priorities and making decisions with respect to levels of commitment, funding, and support. The following sections take up these tasks by surveying the current state of digital humanities work within institutions, presenting /16/ a cultural informatics model of libraries and the digital humanities, and situating DH work within the user-centered paradigm of library and information science. Digital humanities focuses both on the application of computing technology to humanistic inquiries and on humanistic reflections on the significance of that technology. Marija Dalbello (2011) traces the history of digital humanities back to mid-twentieth century efforts in humanities computing and, in particular, to early forms of text analysis. With the growth of Internet technology in the 90s, focus shifted to hypertexts, digital repositories, and multimedia collections. The 21st century has seen a dramatic rise in social networks and crowdsourcing, access to digitized cultural heritage materials, and interfaces for archives and collections that exploit the capabilities of linked data and visualization. This long and varied history helps to account for the wide range of topics currently found in digital humanities work, topics ranging from text analysis and visualization to digital pedagogy and new platforms for scholarly communication. The location in which digital humanities work occurs is similarly varied. Matthew Kirschenbaum, for example, claims that digital humanities is often found within English departments because of historical connections between texts, computing, and composition, as well as interest in editorial processes, hypertext, and cultural studies (2010, p. 60). Though English departments may be among the most prominent, digital humanities now includes faculty from the broad range of arts and humanities departments, including archaeology, art history, classics, comparative literature, history, music, performing arts, philosophy, postcolonial studies, religious studies, theatre, and more. Provides technology solutions to humanities departments (pp. 4–5). Though this study did not explicitly address connections between libraries and digital humanities, several of the defining tasks of DH centers could also be characterized as library activities, including the focus on building digital collections and associated tools, using these collections, and serving as a repository (1-3, 12). Many of the other list items are service-oriented: offering training, collegial support, serving as an information portal for disciplines, and providing technology solutions (4, 5, 7, 8, 10, 13). The remaining features are either structural (appointments and staffing) or more oriented towards research and experimentation (9, 10, and to some extent 5). Based on the 32 centers surveyed, the CLIR report concludes that broader-base initiatives, rather than siloed centers, may be more suited for meeting the needs of humanists, leveraging campus resources efficiently, and addressing large-scale community needs, such as long-term digital repositories. Two more recent studies have attempted to gauge the type and degree of interaction between digital humanities initiatives and libraries. The Association of Research Libraries’ 2011 SPEC Kit on Digital Humanities reports on the status of digital humanities within academic libraries, with about half of the 126 member libraries responding (Bryson, et. al., 2011). The report finds that only 8% of libraries host a dedicated center for DH. More commonly, about half of the ARL member libraries responding provide ad-hoc services, such as consultation, project management, or technical support, while one-quarter host a digital scholarship center that provides services to multiple disciplines, including the humanities. The authors suggest that libraries may be most useful for getting new DH projects off the ground (by providing pre-existing infrastructure) and for ensuring the long-term sustainability of projects (by bringing skills in digital management and preservation). In a separate and ongoing effort, an IMLS-sponsored partnership between three graduate iSchools (University of Maryland College of Information Studies, University of Michigan School of Information, and University /18/ of Texas Austin School of Information) and three nationally-recognized digital humanities centers (MITH, CDRH, and MATRIX) maintains a crowdsourced spreadsheet of DH centers worldwide, with specific reference to their engagement with academic departments and libraries (iSchools & The Digital Humanities, 2012). As of November 2012, nearly 100 centers are listed, roughly half of them in the United States. Of those centers, nearly half are located within libraries and another quarter maintain some informal relationship with libraries. Outside of the U.S., library-hosted DH centers are much less common, and only a small number report informal ties to their library. Together, these studies suggest a wide range of models for institutional collaboration between libraries and digital humanities. In some cases, the choice of where to locate digital humanities may be arbitrary, academically speaking. It may have more to do with funding, local politics, or being first out of the gate at an institution rather than the location being chosen for more principled reasons. With this diversity in mind, we may now turn to the actual work of digital humanists to consider ways in which libraries and DH can be mutually supporting. As the reports cited in the previous section suggest, the work of digital humanists is diverse, and their collaborations with libraries idiosyncratic with respect to institutions. Still, it is worth considering ways in which the work of digital humanists mirrors activities, resources, and skills found within many libraries. Ben Showers (2012), for example, highlights five areas of overlap between DH and libraries: managing data, “embedded” librarianship, digitization and curation, digital preservation, and discovery and dissemination. Though these and other points of comparison are useful, a more conceptual comparison between DH and libraries would help locate these examples within a common schema and encourage both sides to envision further possibilities. 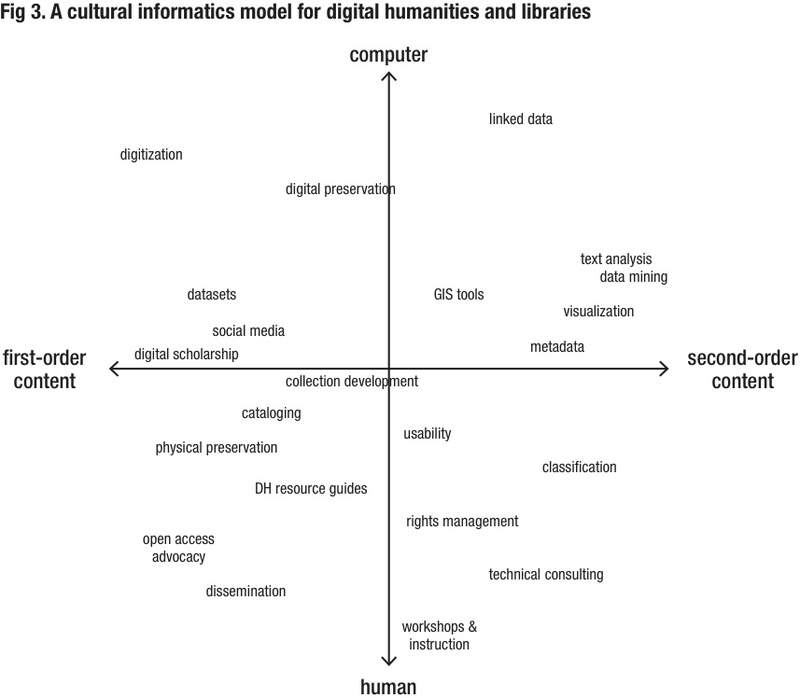 This section presents a conceptual model for digital humanities and libraries that is founded on a cultural informatics framework. This term was first introduced by Sengers (1999) to describe the “confluence of computation and humanities,” including both the ways in which computation could helpt cultural scholarship and the ways in which reflection on cultural background could change the development of technology (p. 7). Furner (2011) connects the term ‘cultural informatics’ to the specific way in which cultural heritage institutions (including libraries, museums, and archives) create, manage, and organize information artifacts. Some of these artifacts are collected by institutions; others are created by the institutions themselves. This model /19/ stresses a continuum of information content involved associated with cultural heritage institutions. First, these institutions make available information artifacts produced elsewhere that are deemed worthy of preservation. In some cases, cultural heritage institutions may also create new information artifacts through research, reports, or the creation of digital objects from non-digital ones. All of these documents, broadly construed, represent information; the new products of cultural heritage institutions are no different, in principle, than the familiar sources of books, articles, images, sounds, recording, sculptures, journals, notes, reports, and ephemera. The two are distinguished only by the site at which one is produced. In this sense, cultural heritage institutions create and make available “first-order” content. Second, cultural heritage institutions often work with content of a special type: “second-order” content, or content about the content of other information artifacts. This may include bibliographic records, resource guides, subject analyses, metadata, or even preservation data that facilitates the organization and understanding of information artifacts. (Preservation data is included here because it involves information about information artifacts in an organizational sense (e.g., put these documents in an environment below 70˚), but preservation work itself seems to combine first- and second-order content by using second-order content to make available the first-order content of found artifacts.) It is worth noting that second-order content is often recorded in first-order artifacts, such as subject bibliographies, keywords, and encoded metadata. This is hardly surprising, since research of any kind (including second-order information) is often worthy of preservation. The work of analysis and organization produces the second-order content; the document itself may be treated as a first-order creation. Roughly speaking, we have here a distinction between pure content and pure representation, a distinction that often breaks down when examining any particular object. An archival letter may describe a map and how to use it, a scholarly article may point toward other sources via citation, and a visualization may contain as much interpretation and narrative in its design and presentation as it does first-order data that it represents. The point of this distinction is not to determinately classify information sources into one field or another; it is to capture the broad range of activities involved with the work of cultural heritage institutions. In some cases, they facilitate access (in a transparent way) to existing sources. In others, they engage in acts of research, analysis, and visualization—and, in so doing, create new artifacts of knowledge. Along this dimension of first- and second-order content, we can situate the traditional activities of cataloging, bibliography, collection development, preservation, subject analysis, and knowledge organization. In addition to considering what kind of information is being produced or made available, cultural informatics also takes note of who or what is doing the producing. At one end, it focuses on human actors who may be involved in communication, instruction, or other “manual labor” tasks at cultural /20/ heritage institutions. At the other, cultural informatics considers computer-driven technologies, such as automatic metadata extraction, online searching, and digital content management. These broad extremes are bridged by studies of human–computer interaction, which examines the many affordances that computing technologies provide to different users (Card, Moran, & Newell, 1983). On this dimension, it should be noted that many activities which start on the human side of things wind up drifting toward computation: card catalogs give way to search engines, manual classification is replaced by natural language processing. The history of automatization suggests that tasks will generally be shifted from humans to computers to the extent possible for any given task. This trend does not imply that there is some fixed directionality to the map dynamics as whole. On the contrary, each (technological) solution often brings with a new (human) problem. Technology may become more powerful, but it also brings with it increasingly specialized discourses and the need for teachers and translators of that technology. In some cases, computer innovations may enter the scene abruptly when it suddenly becomes possible to do some task that was impossible with mere human power (e.g., visualization allowing simultaneous representation of a million data points). These reflections suggest an equilibrium within the model: items may eventually accrue on the side of computation, but a snapshot of the field at any given time would probably reveal activities plotted across wide areas of the map. The overall model is thus a dynamic one, ranging over the shifting array of tasks and task locations. A snapshot of today’s field with respect to digital humanities is given in Figure 3. This model suggests a multiplicity of ways in which libraries and DH may support, engage, and create with one another. Interestingly, current DH activities fall across a wide range of the map—and not merely the computational end. Digital humanists may rely on libraries as much for access to digital collections and tools as they do resource instruction and preservation. This overlap of first- and second-order content, human- and computer-powered work suggests that libraries and DH are indeed engaged in complementary activities—as commentators have suggested—and that DH has an enduring place within the world of libraries. The lack of a general answer about how libraries can best engage with DH may be unsatisfying, but this also seems predicted by the user studies paradigm that has dominated the field for the past several decades. As several authors have pointed out, the user-centered tradition can be traced back to studies of scholarly communication in the 1950s and 1960s, which, to varying degrees, took stock of individual scholars’ information seeking behaviors (Case, 2002; Bates, 2004; Talja and Hartel, 2007). The user-centered tradition gained full steam with Dervin and Nilan’s seminal article, which called for /22/ a shift away from objective, mechanistic, and universal views of information needs toward more subjective, constructionist, and situated understandings (1986, 12–16). new digital modes of publication that facilitate the dissemination of humanities scholarship in advanced academic as well as informal or formal educational settings at all academic levels. Though the activities listed in Table 3 cover much of the ground of DH as discussed here, explicit recognition of the role of pedagogy is absent from the criteria. Digital humanists are among the forefront of instructors using technologies to engage students in new forms of digital scholarship, communication, and dissemination of ideas. Moreover, digital humanists are often responsible for training others in using particular tools or methods, particularly undergraduates, or for seeking instruction in those areas themselves. Most often, this has been left to extracurricular skill-shares or workshops in which digital humanists can “catch up” on the latest trends. These tasks are far beyond merely providing technological resources, a model that pervades many IT departments; they involve directed and creative uses of those /23/ resources, and the literacies required to sustain them. Libraries and librarians can fulfill a vital need here in supporting instructional technology and working with faculty to use technology more creatively in classroom settings. 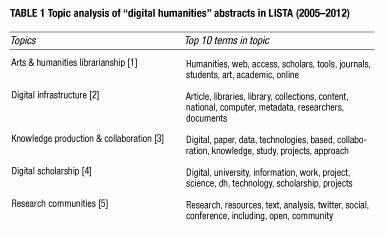 In addition to capturing the current work of DH, the activities listed in Table 3 also reflect a new type of academic library user that has emerged in the past decade, one that is focused on digital scholarship and research. This new type coincides with trends in other fields in terms of big data, access to datasets, and support for technology, including instruction. In this respect, a scientist seeking access to large databases for research and a digital humanist interested in text analysis using large corpora are quite similar in terms of information needs, and the role of libraries in providing such resources is basically the same. The major difference seems to be a historical one; sciences and technology-related fields have received this type of support more frequently in the past decade, while support for the humanities has been limited still to print collections or electronic journal articles. The growth in digital humanities offers an important opportunity to provide renewed support for the humanities and to bring library resources across the board up to speed with digital scholarship for the 21st century. Though the possible roles for academic libraries within digital humanities seem relatively clear, engagement with DH in other types of libraries, particularly public libraries, may be quite different, at least from a user perspective. Academic settings, particularly the institutions where digital humanities is growing, often have user populations that are technologically skilled, relatively speaking. Members of the public may also want new and exciting access to information—the very kind that digital humanities often brings—but others may simply rely on their libraries for more basic access to information, including job searches, research on immigration and legal procedures, Internet and email, or child and youth programming. In some cases, these users may comprise a larger segment of the overall population, and there is a strong case for prioritizing these more basic needs over those of the most tech-savvy users. Support for DH in non-academic libraries must be part of an overall needs assessment and may wind up taking a backseat to initiatives that serve a wider population of library users. 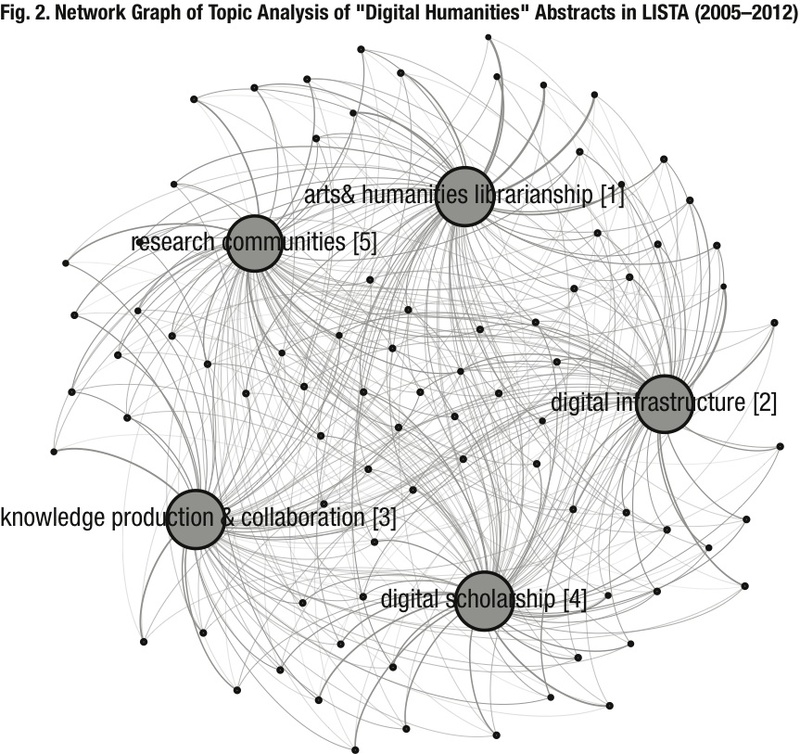 The foregoing sections have attempted to locate digital humanities within the world of libraries in several ways: first by examining the institutional location of DH work, then by presenting a conceptual model of DH and LIS, and finally by locating digital humanities within the overall user-centered paradigm of the field. At each turn, the points of connection between libraries and DH were varied and often dependent on the needs of particular /24/ faculty members (i.e., users) within an institution. Though a general, cultural informatics model was presented, this model stresses the diversity of activities involved in DH and cultural heritage institutions and avoids totalizing recommendations about how such work is to be pursued. While this article has been focused on conceptual ties between libraries and DH, it is worth concluding with some more practical considerations about how such a model can be enacted. First, librarians (esp. subject librarians) can discover which of their users are working in digital humanities. Resources such as the Humanities, Arts, Science, and Technology Advanced Collaboratory (HASTAC) directory (located at http://hastac.org/members), which includes over 8,000 members, as well as social media sites (esp. Twitter) can use useful for identifying local faculty with an interest in DH. Second, librarians can attempt to survey the needs of these users (formally or informally), as well as faculty members in general, some of whom may be interested in digital humanities but unsure where to start. As part of this needs assessment, measures such as cost and impact may be considered. This method, again, suggests that different needs will emerge in different settings, especially if faculty members bring diverse projects and issues with them. Some of these needs may already be met by preexisting resources; others may require new purchases or changes in staffing. These needs and others may be compared to those plotted in Figure 3, and some libraries may find it advantageous to focus on particular clusters of the grid, while others may find a more scattered approach to be justified. In particular, libraries would do well to identify mutually supporting activities, such as purchasing GIS datasets together with offering GIS workshops. Although the landscape of digital humanities is complex and changing, libraries are well positioned to meet the needs of many digital humanists, both by expanding current offerings and by promoting existing skills and services that lie squarely within the field of library and information science. American Library Association. (2009). ALA’s core competencies of librarianship. Retrieved from http://www.ala.org/educationcareers/sites/ala.org.educationcareers/files/content/careers/corecomp/corecompetences/finalcorecompstat09.pdf. Bates, M.J. (2004). Information science at the University of California at Berkeley in the 1960s: a memoir of student days. Library Trends, 52(4), 683–701. Boot, P. (2009). Mesotext: digitised emblems, modelled annotations, and humanities scholarship. Amsterdam: Pallas Publications. Card, S. K., Moran, T. P., & Newell, A. (1983). The psychology of human-computer interaction. Hillsdale, NJ: Lawrence Erlbaum Associates, Inc.
Case, D. O. (2002). Looking for information: a survey of research on information seeking, needs, and behaviour. London: Academic Press. Cohen, D. & Rosenzweig, R. (2005). Digital history: a guide to gathering, preserving, and presenting the past on the web. Philadelphia: University of Pennsylvania Press. Dalbello, M. (2011). A genealogy of digital humanities. Journal of Documentation 67(3), 480–506. doi 10.1108/00220411111124550. Dervin, B. & Nilan, M. (1986). Information needs and uses. In M. E. Williams (Ed. ), Annual Review of Information Science and Technology (ARIST) (Vol. 21, pp 3–33). White Plains, NY: Knowledge Industry Publications. Digital Humanities Job Archive. (2012). Retrieve from http://jobs.lofhm.org. Fish, S. (2011, December 26). The old order changeth. The New York Times. http://opinionator.blogs.nytimes.com/2011/12/26/the-old-order-changeth. Furlough, M. (2012). Some institutional challenges to supporting DH in the library. On Furlough. Retrieved fromhttp://www.personal.psu.edu/mjf25/blogs/on_furlough/2012/08/some-institutional-challenges-to-supporting-dh-in-the-library.html. Furner, J. (2011) Cultural informatics. Retrieved from http://furner.info/?page_id=121. Galina Russell, I. (2011, August). The role of libraries in digital humanities. World Library and Information Congress: 77th IFLA General Conference and Assembly. Lecture delivered from Universidad Nacional Autónoma de México, San Juan, Perto Rico. Retrieved from http://conference.ifla.org/past/ifla77/104-russell-en.pdf. iSchools & The Digital Humanities (n.d.). Retrieved from http://www.ischooldh.org. iSchools & The Digital Humanities (2012, November 1). Digital humanities centers. Retrieved from https://docs.google.com/spreadsheet/ccc?key=0Alb9djE8v3nCdFJuZFVaZGpOVEFoaF84dWRVQ2RsQnc#gid=6. Kamada, H. (2010). Digital humanities: roles for libraries? C&RL News 71(9), 484–485. Available at http://crln.acrl.org/content/71/9/484.full. Kirschenbaum, M. (2010). What is digital humanities and what’s it doing in English departments? ADE Bulletin 150, 55–61. doi 10.1632/ade.150.55. LibraryLoon. (2012). Additional hurdles to novel library services. Gaiva libraria. Retrieved from http://www.inthelibrarywiththeleadpipe.org/2012/dhandthelib/. MLA Jobs Tumblr. (2012, September 21). [Web log post.] Retrieved from http://mlajobs.tumblr.com/post/31991562450/digital-humanities-asst-prof-in-american-or. Modern Language Association. (2012). Guidelines for evaluating work in digital humanities and digital media. Retrieved from http://www.mla.org/guidelines_evaluation_digital. Moretti, F. (2005). Graphs, maps, trees: Abstract models for a literary history. New York: Verso. Muñoz, T. (2012). Digital humanities in the library isn’t a service. Retrieved from http://trevormunoz.com/notebook/2012/08/19/doing-dh-in-the-library.html. National Endowment for the Humanities. (2012b). Digital Humanities Start-Up Grants. Retrieved from http://www.neh.gov/grants/odh/digital-humanities-start-grants. Pannapacker, W. (2009, December 28). The MLA and the digital humanities. Chronicle of Higher Education. http://chronicle.com/blogPost/The-MLAthe-Digital/19468/. Ramsay, S. (2010, October 8). Care of the soul. Lecture conducted from Emory University. Retrieved from http://stephenramsay.us/text/2010/10/08/care-of-the-soul.html. Schreibman, S., Siemens, R. & Unsworth, J. (Eds.). (2007). A companion to digital humanities. Oxford: Blackwell. Available at http://www.digitalhumanities.org/companion/. Sengers, P. (1999). Practices for a machine culture: A case study of integrating cultural theory and artificial intelligence. Surfaces VIII. Available at http://www.cs.cmu.edu/~phoebe/work/papers/surfaces99/sengers.practices-machine-culture.html. Showers, B. (2012). Does the library have a role to play in digital humanities? JISC Digital Infrastructure Team. Retrieved from http://infteam.jiscinvolve.org/wp/2012/02/23/does-the-library-have-a-role-to-play-in-the-digital-humanities. Siemens, R. & Schreibman, S. (Eds.). (2008). A companion to digital literary studies. Oxford: Blackwell. Available at http://www.digitalhumanities.org/companionDLS/. Talja, S. & Hartel, J. (2007). Revisiting the user-centred turn in information science research: an intellectual history perspective. Information Research 12(4) paper colis04. Available at http://InformationR.net/ir/12-4/colis/colis04.html. Vandergrift, M. (2012). 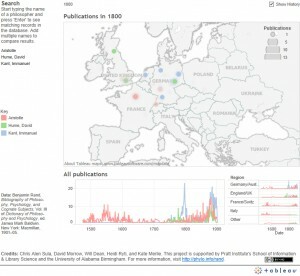 What is digital humanities and what’s it doing in the library? In the library with a lead pipe. Retrieved from http://www.inthelibrarywiththeleadpipe.org/2012/dhandthelib/. Zorich, D. M. (2008). A survey of digital humanities centers in the United States. Washington, DC: Council on Library and Information Resources. Retrieved from http://www.clir.org/pubs/reports/pub143/reports/pub143/pub143.pdf.